"Maccabi Hatzair was established in the days that determined human fate and especially the future of our people. The youth movement sought a way out of the chaos. Since its inception at the World Maccabi Conference in 1929 in Czechoslovakia, it made its way determinedly and was even a beacon for other movements. In central Europe (Czechoslovakia, Austria and Germany) it found a convenient platform in Jewish parties and community frameworks. The Hebrew language was known to all and there were shared connections with Eretz Israel. 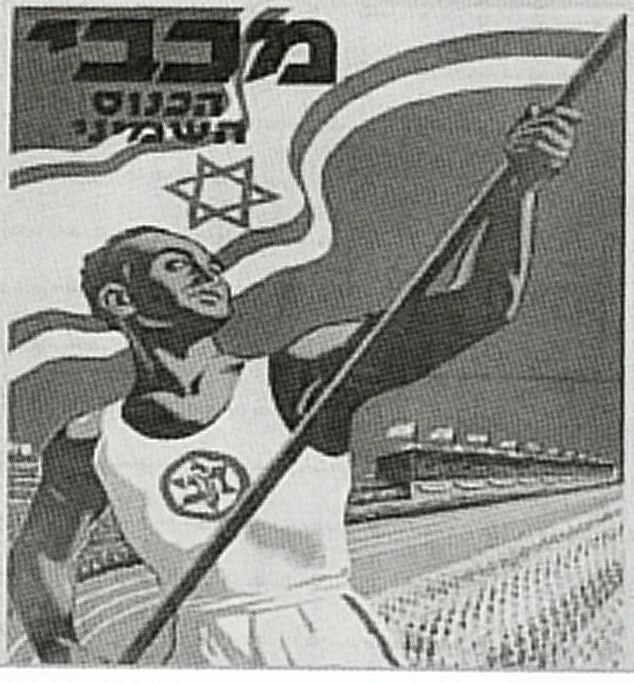 The Zionist youth movement strove to combine Jewish values, ethics, field training and camping with strengthening sporting activity in view of the concept of "A healthy soul in a health body". Its principles embraced all humanity. The movement viewed the person, the individual, as the focus, particularly as far as his behaviour and inter-personal relationships were concerned. It therefore made sure to nurture attributes of self-education, courage, chivalry, loyalty, discipline and readiness to help others. The movement fought against materialism. Maccabi Hatzair demanded of every member to serve as an example to realise the association's ideals, based on the spiritual and physical awakening of the Jewish person and his connection with Eretz Israel. They believed in a balance between body and soul in order to increase absorption ability, love of life, obedience and friendship." and this photo was taken prior to their immigration to Israel. 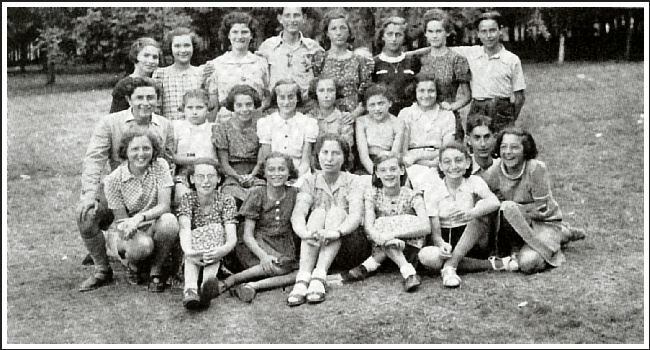 "Aged 12, Greta (Shulamit) joined the Maccabi Hatzair youth group with other friends of her age. When she was older she guided younger members of the movement. The Zionist youth movements such as Maccabi Hatzair, Betar, and Hashomer Hatzair greatly influenced the young Jews -- the ways of thought, their ways of entertainment in their free time, at seminars, trips and sports activities. During July 1939, she participated in the training camp prior to immigrating to Eretz Israel, held near the large city of Poprad, near Bratislava. The youngsters studied Hebrew, history and practiced agricultural work. They immigrated about nine months later in two groups. Greta was part of the second and last group that left for Eretz Israel and was saved." "The song that Shulamit (Greta Singer) taught as a guide in the Maccabi Hatzair movement in Bratislava was dedicated sixty years later to the memory of the members of the group she led. Incidentally, the song was one of those proposed as the national anthem. There, my country, the land of my fathers"
The above photos and text are from "Four Clover Leaves," by Roni Peled.